After the G7 summit and in the run-up to the Paris COP21, climate issues are back high on the global agenda. A decarbonised global economy until the end of the century – G7 leaders almost sound like NGOs. When everybody claims to be in favour of climate protection, it is difficult to get a clear picture of what happens. The reality is, unsurprisingly, more complicated than the declarations. Lofty declarations and agreements are one thing, but what happens in reality is usually another story. Actions matter, not words. That is not so new, but particularly climate policy is an area where the discrepancy between words and actions seems to be quite large. Nature Code with its associated Carbon Market Watch Network is an organization that has always looked more closely at the reality, and we continued this important work in 2014.
International offsets and the enormous loopholes they create in the EU emissions trading system have continued to be a key priority for our activities. Together with other loopholes these offsets can reduce the EU’s 40% climate target to a de-facto 26% reduction in reality – while on paper claiming to have met all targets. The difference could hardly be bigger. It remains a key NGO objective to open the public’s eyes to these realities, otherwise there will be no pressure to fix the problems. “What is needed to fix the EU’s carbon market” was the title of a key Nature Code publication in 2014. Our initiatives often were key to joint NGO activities trying to fix these problems. 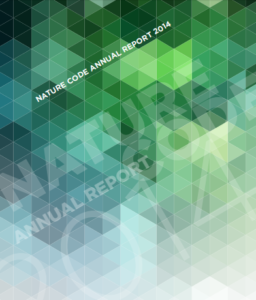 Nature Code never hesitated to clearly point out what’s going wrong and try to influence EU policymaking. Our experience with all the complicated intricacies of EU climate policy collected over many years is key to our ability to initiate such NGO interventions. Continuing with business as usual while claiming to be forerunner in climate protection – this could also be the result of the anticipated new UN climate agreement to be concluded in Paris. Nobody should underestimate the ability of governments to learn from each other when it comes to presenting inaction as action. So NGOs need to learn from each other how to counter these efforts. Carbon Market Watch Network India remains a key piece of our activities outside Europe, it is capacity building at its best. This is particularly important in a time where critical voices from civil society all around the world, including in India, are under more and more pressure from authoritarian governments. Giving local activists the opportunity to speak out on carbon market issues around the world remains an essential element for Carbon Market Watch’s work.